Robeezs Claire Mary Jane is an update of a classic Robeez baby shoe. This white leather Mary Jane, with eyelet-like leather trimming and 3D leather flowers that decorate the shoes ankle elastic, is perfect for every day or for a special occasion. 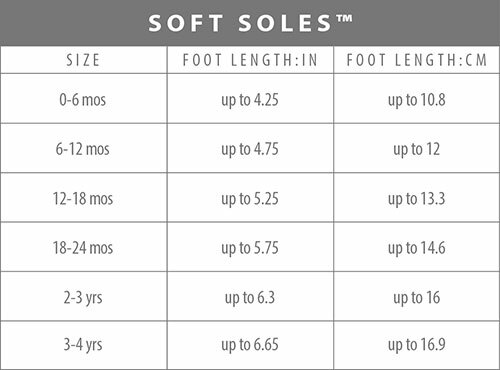 Robeez Note: Roe, someone from our Customer Service team will be reaching out to you to help you with this sizing issue. I love Robeez shoes, and have never had an issue in the past with sizing, but this time the shoes I ordered for my 1 year old were said to be 12-18 months and they could actually fit my 2 year old! They were very wide and an entire toe length too long. I am disappointed because by the time she grows into these she won't need the soft sole anymore. Robeez Note: Please contact our Customer Service team so they can help you get the right size. Cute as pie and perfect for dressier outfits.